You’ll love every minute you spend on Easthampton roads when you buy or lease a 2019 Volkswagen Passat. 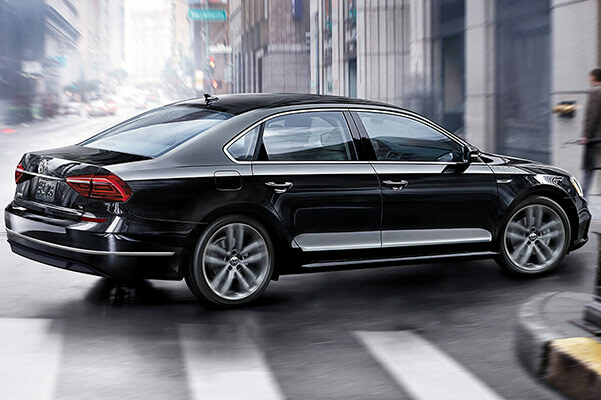 The 2019 Passat redesign provides you with the stylish and connected cabin you crave without sacrificing affordability. That means the 2019 Passat interior will impress your loved ones while the 2019 Volkswagen Passat price will fit nicely in your new-car budget. 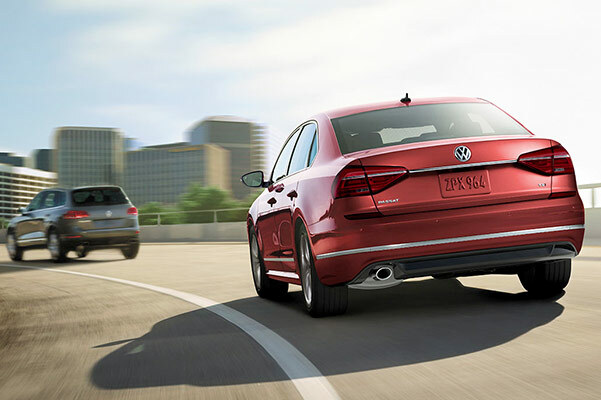 Get a closer look at the various 2019 Volkswagen Passat configurations and safety tech options to discover how a VW Passat can upgrade your daily drives and weekend excursions. Don’t forget to ask about our current Volkswagen Passat finance specials and VW Passat lease offers when you visit our Volkswagen dealership near Easthampton, MA. When you buy a new car, it’s essential for you to feel completely confident in your purchase. That’s why Volkswagen offers an exceptional New Vehicle Limited Warranty across our new VW model lineup. The People First Warranty provides you with 6 years and 72,000 miles of bumper-to-bumper coverage,** whichever comes first. This 6-year/72,000-mile Volkswagen warranty is also transferable at no cost to you if you sell your Volkswagen Jetta, VW Atlas or other Volkswagen model later on. The team at our Volkswagen dealership in Northampton, MA, can explain additional details of The People First Warranty coverage if you want more information after you browse our vast new Volkswagen inventory. Visit Northampton Volkswagen to buy a VW Tiguan or Passat and take advantage of this incredible transferable bumper-to-bumper new vehicle warranty! Our VW dealer in Western MA has the 2019 Volkswagen Passat for sale, which means it’s time for you to get behind the wheel of the new Volkswagen sedan you’ve been dreaming of. Come experience the 2019 VW Passat redesign at Northampton Volkswagen! **6 years/72,000 miles (whichever occurs first) New Vehicle Limited Warranty on MY2018 and newer VW vehicles, excluding e-Golf. Claim based on manufacturers’ published data on length and transferability of car and SUV Bumper-to-Bumper/Basic warranty only. Not based on other separate warranties. See owner’s literature or dealer for warranty exclusions and limitations.